Hi, I’m Doctor Zarzuela. I’m one of the doctors here at Maryland Primary Care Physicians. We’ve all seen the negative consequences that our American lifestyle and diet can have.Poor eating habits, inactivity, and stress – it all takes a toll and can lead to diabetes. If you’ve been diagnosed with type 2 diabetes, it’s time to take steps to manage the disease. Let’s start with the most important thing to know – and that is your health is in your hands. You can improve your diet. You can get out and start moving. And you can reduce your stress. You can join other diabetes patients just like you, who made the changes. Your primary care doctor can provide the support and the tools to succeed ─ like a glucose monitor to help you stay on track. And you may be referred to a nutritionist, to help you eat better. As you do the right things to bring your blood sugar back to normal and keep it there, your primary care doctor will be your biggest fan. It starts with making the changes that can make you healthy again. You’ll see for yourself – your health is in your hands. For more information, or help managing your diabetes, contact Maryland Primary Care Physicians. 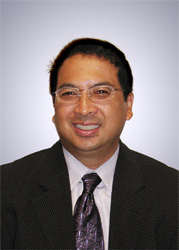 Dr. Zarzuela received his medical degree from the University of Maryland School of Medicine and is certified by the American Board of Internal Medicine. He sees patients in MPCP’s Pasadena office.